Preheat oven to very slow 120c. Line trays with oven bake paper. Place egg whites in dry mixing bowl. 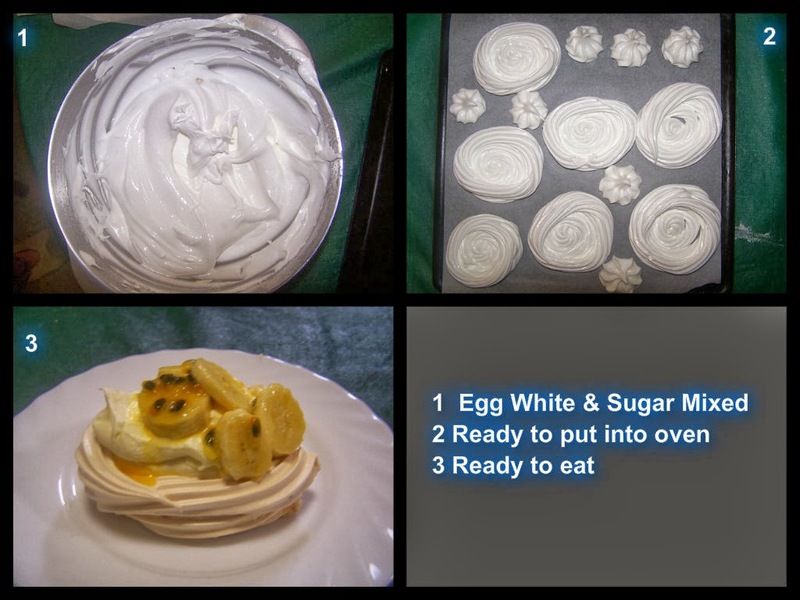 Using electric beaters, beat egg whites until soft peaks form. Add sugar gradually, beating constantly until mixture is thick and glossy and all the sugar is dissolved. 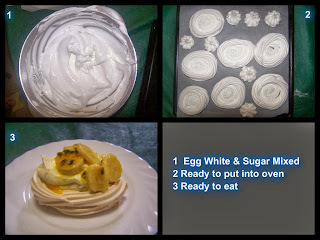 Spoon mixture into a pipe bag fitted with a large plain pipe nozzle, pipe meringue into trays. Bake for 1 hour 30 minutes or until pale and crisp, alternating shelf positions occasionally during cooking. Remove from oven cool on trays.